A headline is sometimes worth a thousand words, and this was definitely the case after a deadly drone strike occurred in Yemen last week. “Drone Strike Kills Six Suspected Militants in Yemen,” a Reutersheadline (8/7/13) declared. “More Suspected Al-Qaeda Militants Killed as Drone Strikes Intensify in Yemen,” aCNN.com headline (8/8/13) offered. Whatever the language, one message was clear: “Suspected terrorists” or “militants” had been killed. The lead up to the Afghan war in post-9/11 used the rhetoric of “women’s rights” to mobilise the American public. We were supposed to save their women from the Taliban and their “backward ways”. [See Socialist Platform Statement of Aims and Principles and The Left Party Platform, the two other ‘platforms’ proposed by ‘factions’ within Left Unity. We have drafted a third ‘platform’ to extend the debate within Left Unity. 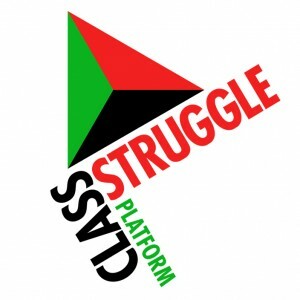 Having read the two platforms currently circulating – the Left Party Platform and the Socialist Platform – we were struck by an obvious similarity between them. Neither address the immediate issues confronting the working class in Britain today, which are not run of the mill concerns, but critical to all our futures. Saudi Arabia policies are enormously hypocritical. They discriminate against 10 percent of their own population, the Shiites, while saying they are intervening in Syria for more democracy, journalist Pepe Escobar told RT. On August 5 malicious software (malware) in the form of a Java Script (JS) attack code was discovered embedded in multiple websites hosted by the anonymous hosting company Freedom Hosting (FH), the largest hosting company on the anonymous Tor network. Initial research into the malware by experts suggests that it originated from and returned private data back to the Federal Bureau of Investigation (FBI) or other US government agencies. Update: It seems the site has been under a sustained ‘Denial of Service’ or DDoS attack since Saturday. My excellent ISP (who have hosted my site for over 10 years) have installed a raft of security measures over and above the usual array, so hopefully this will do the trick. But because of the additional security, I’ve had to disable some tools that the site uses eg, related posts and translation, as they use routines that can be exploited by attackers.